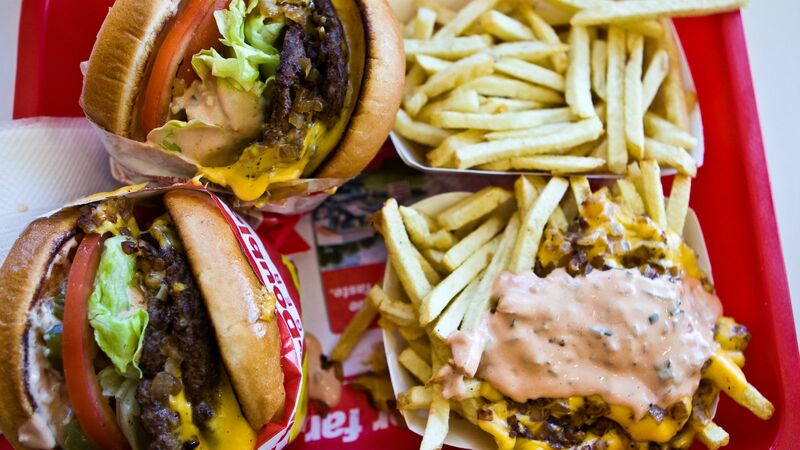 Even with only burgers, fries and drinks on the menu, American fast food chain In-N-Out Burger has been capturing the hearts – and stomachs – of food maniacs since 1948. Sadly for burger fanatics, In-N-Out is a largely regional affair, with most of the more than 200 branches based in California. Luckily for fans of In-N-Out’s awesome burgers and animal-style fries, the burger chain will be selling burgers at a one-day pop up shop in Goodies Cuisine (好米亞義法餐酒館) in Da’an District today. The flash sale will begin at 11am and continue until all burgers have been sold out. Customers will have to line up for a bracelet in order to purchase a meal and are limited to one each. This is the second time In-N-Out has come to Taiwan. The chain opened a similar one-day pop up store in Taipei in 2014, which proved extremely popular. The number of burgers available and the pricing of the meals have not been announced for this year’s pop up shop, but the chain sold 300 burgers in 2014, each priced at NT$70 with meals starting from NT$130.